I find this block really pretty and intended it to be my first block! 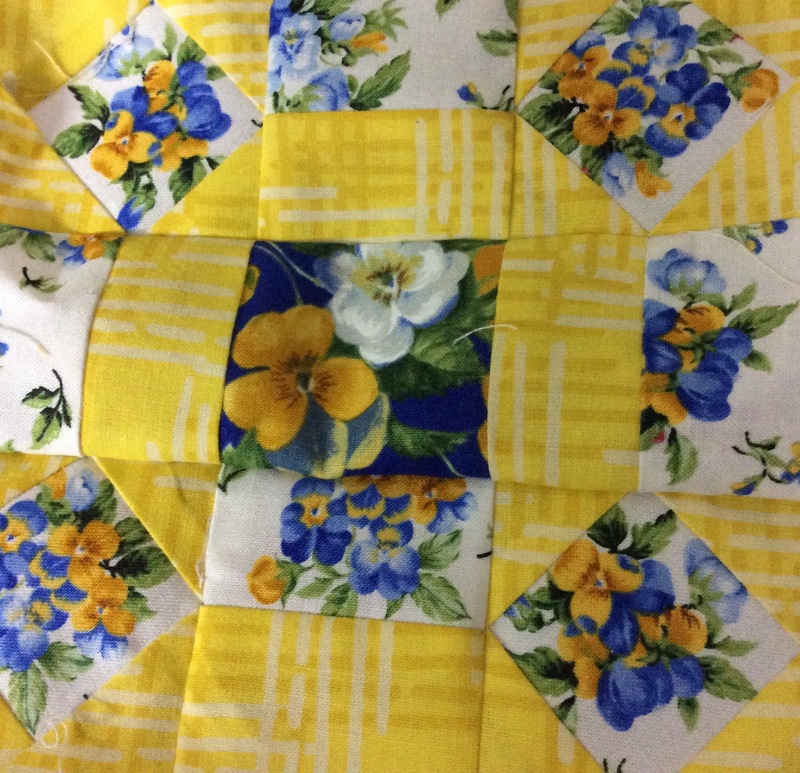 In the original quilt it is really striking in solid yellow and red. 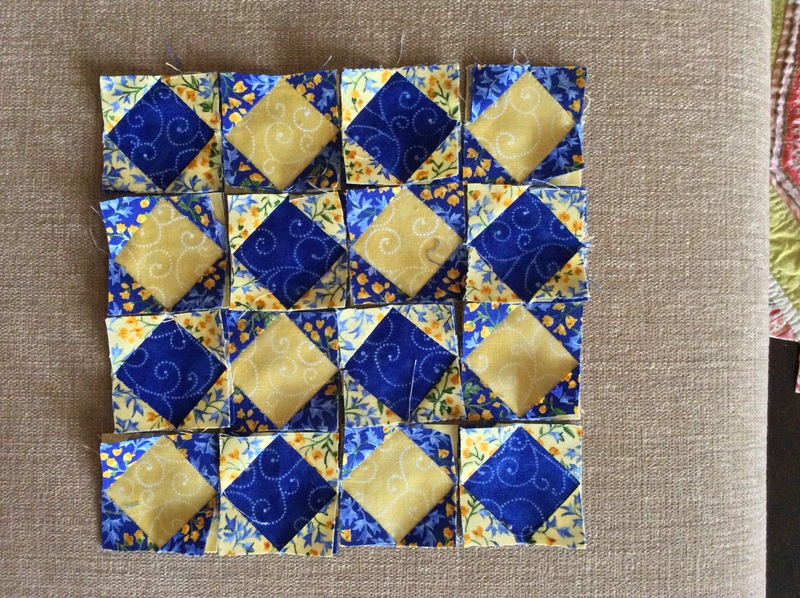 Block 61 – not as perfect as I would wish! It was actually tougher than it looks. I made those 16 squares using 3 different methods. 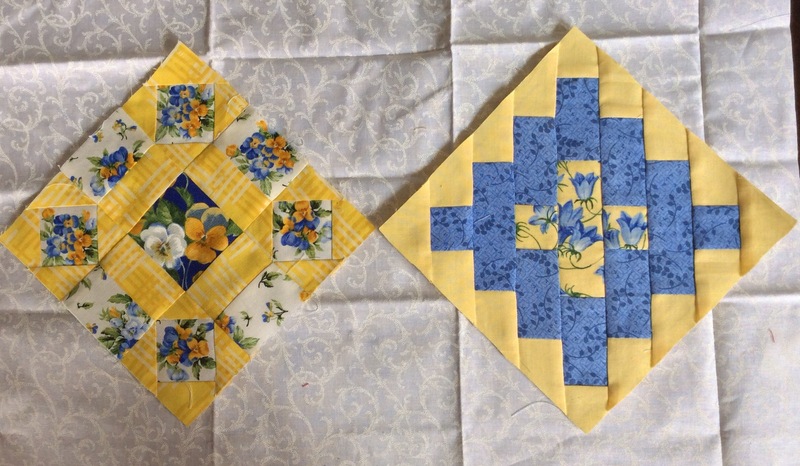 A couple of them were done with tiny squares being joined diagonally to the corners of the bigger square and flipping open the inner triangle to the corner. For another two I drew foundation paper templates on printer paper. For the rest I used freezer paper foundation piecing templates. This is how they looked, ready for assembly! It took me nearly two hours to assemble that – there were dozens of points to be matched, and too many layers of fabric. Not so simple in a block of this size. I am not very happy with more about half a dozen of those points…wondering if I should re-do them. Perhaps later, when I am assembling them. 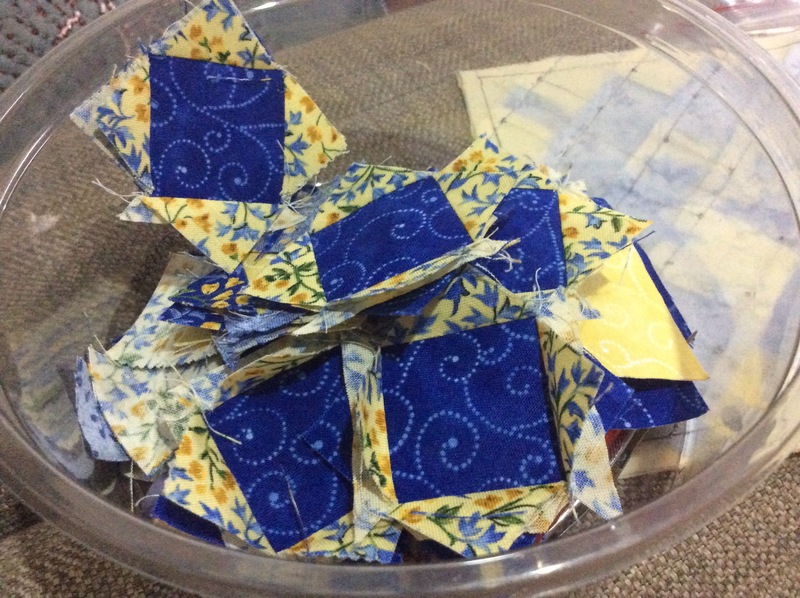 When compared, English paper piecing (EPP) is so much more accurate and pretty! Tomorrow, I’ll be cutting fabric for the next seven blocks and start working on them next week. I’ll do an EPP block next, methinks! It has 4 eight-pointed stars and is really lovely! One more pic of the block, on point this time! It was not a very auspicious beginning for my Nearly Insane Quilt! Nevertheless, the first two blocks are done. I started with what was a really easy block and can you believe this is what I did?!? I also forgot there were points to match in the centre of the pieces! The fabric looked so pretty when I cut it out – it took me ages to do that, as I fussy cut those bouquets! I picturized it as flowers from behind a trellis. I don’t think I like it very much put together. The original block has two strong contrast fabrics. 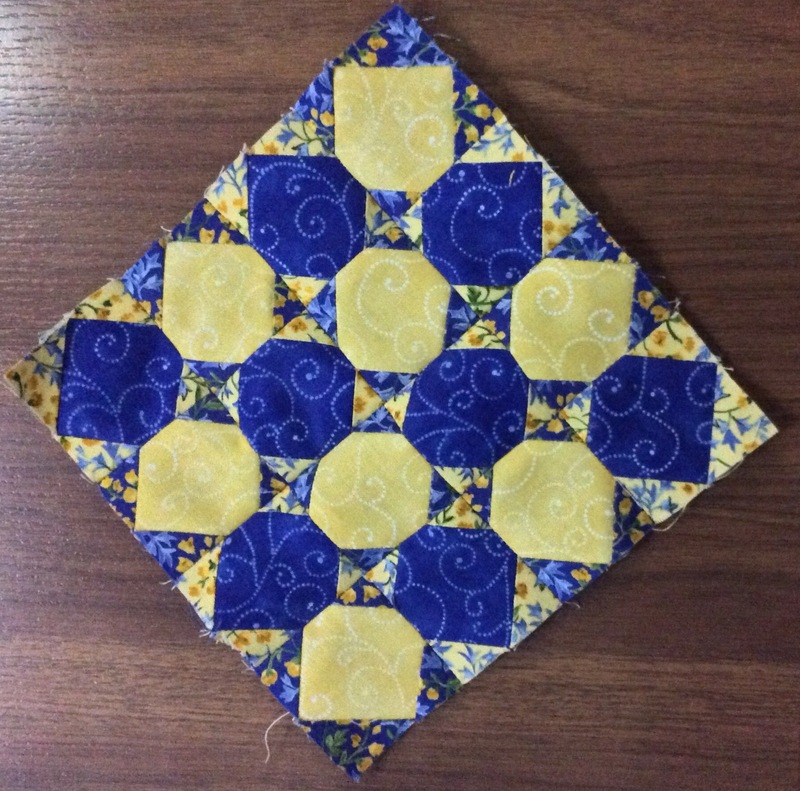 Perhaps quilting will make a difference? The blocks will be all placed on point, so I will photograph them like that. 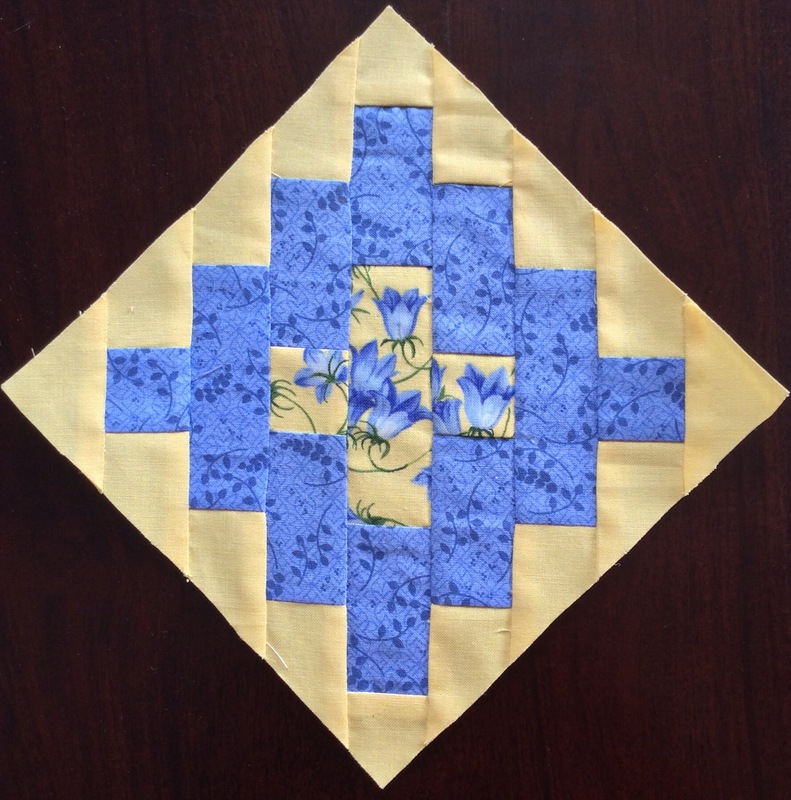 Block 67 from the quilt originally made by Salinda Rupp – popularly known as Nearly Insane. Level of difficulty – Easy. This block was, surprisingly, a toughie! 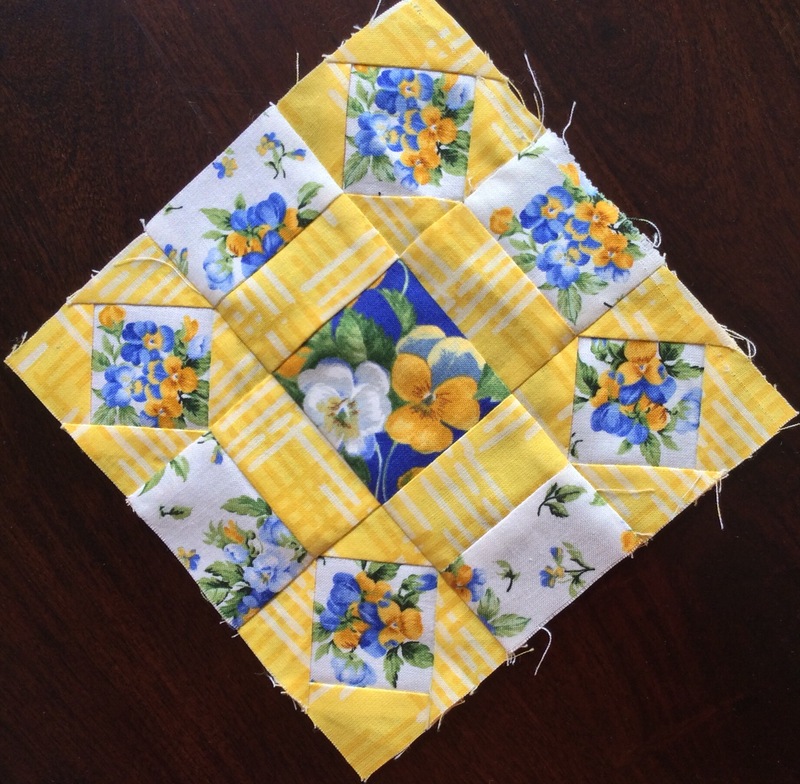 The centre flower strip finishes at 3 and 5/8″. 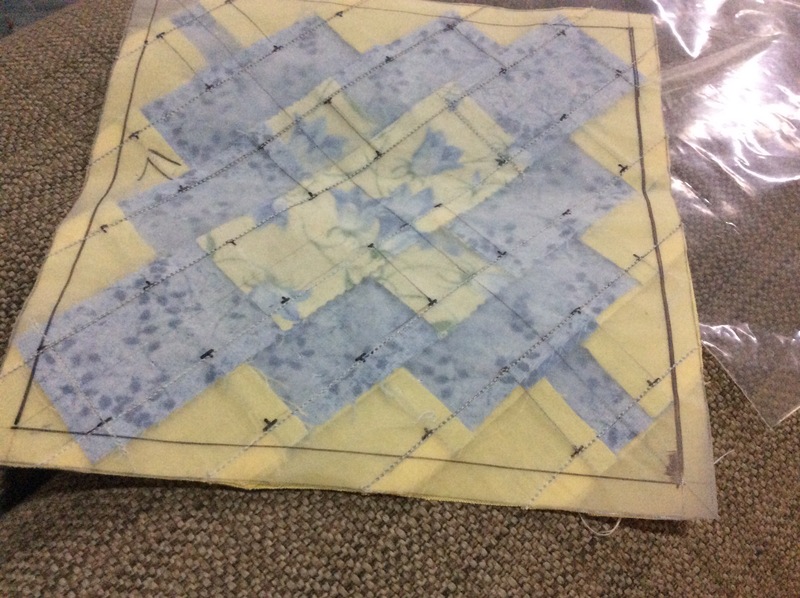 I could not draft it on Quilt Assistant, so I traced the template from the book. 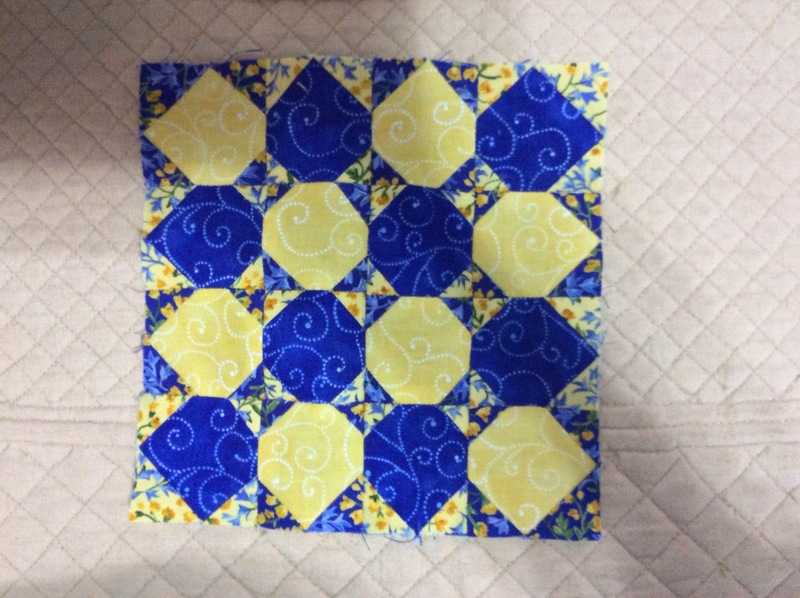 I pieced all the strips first before joining them on the block template. I quite love this! Nearly Insane Block 71 – love this block! Level of difficulty – Easy ( If you don’t have to draft the block template). Strips pieced first and then assembled on foundation paper. I did mention that I am working on these blocks only two days a week? Which means you have to wait for that long to see the next block! I bid you goodnight with a quick peep into what is cooking next Wednesday!